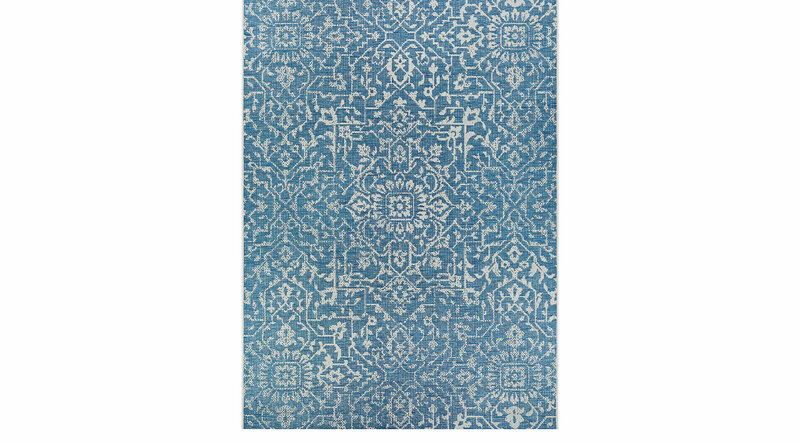 Unify your indoor or outdoor decor with the stunning Dalmally rug. Featuring a delicate motif design in ivory against a blue colored background. Machine made with 100% fiber-enhanced Courtron (TM) polypropylene. Water, mold and mildew resistant.